A color laser printer is a versatile and useful addition to any home or office. The ability to quickly print high-quality documents and images, combined with longer-lasting toner cartridges that, make a color laser printer a great choice, whether you’re printing work documents, school reports, or photographs. 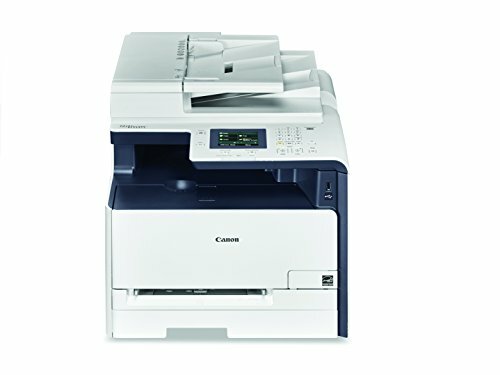 We looked at color laser printers that work best for both homes and small businesses, as well as determining which printers offer wireless capabilities for printing from tablets and smartphones in addition to computers. We also searched for the best-performing all-in-one models, which combine color laser printing with added features like document scanning. Read more about our methodology. For both homes and businesses, this heavy-duty color laser printer offers high-volume printing and excellent wireless printing options. It’s easy to set up and use, with an intuitive LCD screen and plenty of custom printing options. This color laser printer is fast and reliable, and allows for easy setup, use, and wireless printing. It has a much more streamlined design than similar printers, which makes it easier to fit in your home or workspace. With its compact design and ease of use, this affordable printer is a great buy for a home or small business. The print quality and reliability are both excellent, especially for a printer in this price range. This budget-friendly color laser printer is great for homes and offices, offering print quality and speed that rival much more expensive models. Its long-lasting toner also saves a lot of money over time. If you run a small to medium-sized business, this powerful color laser printer offers incredible speeds and high quality prints for multiple users. With automatic duplex printing and a built-in USB port, you and your employees can easily print important documents. This color laser printer is specifically made to print photos, which definitely sets it apart from its competitors. It prints high-resolution, high-color quality images quickly, without streaking or blurring, and makes printing from tablets and smartphones very simple. This affordable and versatile color laser printer is ideal for home use, with simple wireless connectivity, a built-in scanner, and mobile printing options, as well as relatively fast printing speeds and high-capacity toner. If you’re looking for a robust color laser printer that also scans, faxes, and copies documents and images, this color laser printer is a great addition to your home or office. Color laser printers can be complicated to set up, with some models requiring you to download and install drivers before printing and others making setup difficult, from loading paper to changing toner cartridges. 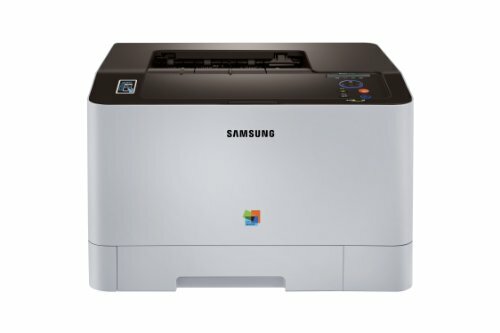 We looked for color laser printers that are relatively simple to get up and running, whether you’re plugging them directly into a computer or connecting them to the internet so multiple users can print their documents. One of the most significant advantages of a color laser printer over an inkjet printer is an increased print speed. Laser printers use toner that gets heat-fused to the paper, which is a significantly faster process than inkjet printing. When buying a color laser printer, you should compare models’ page-per-minute capabilities, which can be different when printing black and white or color. If your home or business has multiple users working with the same printer, the ability to connect to the internet is an important feature. It’s worth considering whether you want a printer that connects directly to a Wi-Fi network, or one that uses an Ethernet cable to connect to your modem or hard-wired internet. While both have certain advantages, wireless-capable color laser printers tend to be slightly easier to use, and can often print directly from handheld devices, without needing to use a computer. Since color laser printers use toner cartridges instead of ink, they tend to be more economical in the long run than inkjet printers. However, you should consider the price of a toner cartridge, as well as how many pages you can expect to print from it, while buying a color laser printer. A more expensive model may give you more pages between toner changes, which can actually make it more affordable in the long run than a cheaper printer than frequently requires new toner. Another important consideration when choosing a color laser printer is whether you want a dedicated printer, or a device that combines several features into one printer. If you frequently need to scan or copy documents, for example, you will probably benefit from having an all-in-one device that can do everything you need. Depending on what kinds of features you’re looking for, color laser printer prices can greatly vary. You can find basic models for around $150, but these might lack all-in-one features or offer relatively minimal customization options and lower print quality. In the $200 to $300-dollar range, you can expect high-quality prints and a few added features, while color printers in the $400 to $700 range have all of the capabilities most homes or small businesses will need, along with all-in-one features, wireless connectivity, and the best-quality printing. Top-of-the-line models are available for upwards of $1,000, but these tend to be geared toward larger businesses, rather than individual or small business consumers. These models are often best used with office-wide internet and can be hard-wired as network printers, so that employees from multiple workstations can use one centralized printer. 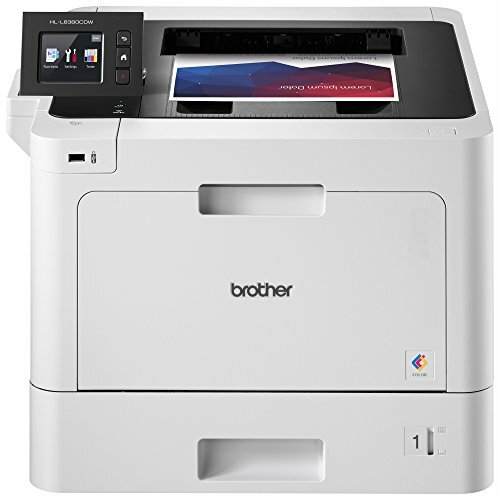 The Brother HLL8360CDW is a fast and reliable color laser printer, with easy setup and versatile features for both homes and businesses. It offers excellent print quality for both black and white and color print jobs, and can connect to a wireless network for printing from handheld devices. While it’s not an all-in-one model, it instead offers exceptional performance and quality, along with long-lasting toner cartridges and an output capability that exceeds most similarly-priced models. Easy to set up. Users find the Brother HLL8360CDW extremely easy to set up, with reviews noting that it takes only a few minutes to fully connect the printer and get started printed both wirelessly and over Ethernet. Simple operation saves time. Because it’s so straightforward to use, many reviewers note that both regular print jobs and custom jobs are easy to print. Loading cardstock or other specialty paper such as letterhead is also quick and simple. Excellent color quality. Several reviewers note that the Brother HLL8360CDW offers exceptional color quality, often exceeding that of inkjet printers. This is particularly useful if you’re planning to print photos or full-color presentations. Slow to start up. One shortcoming of the Brother HLL8360CDW is that it takes some time to warm up, especially if it’s been out of use for a while. Once it gets going, it prints fast, but some users report frustration with waiting for the machine to warm up. Not much built-in memory. Some reviewers note that this printer does not have much built-in memory, which can be an issue if you’re printing longer documents or hoping to store print jobs for later. 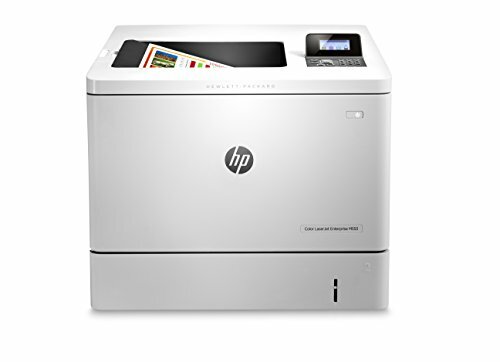 The HP Laserjet Pro M452dw Wireless Color Printer offers excellent print quality and reliable speed, with the option to easily connect to a wireless network for printing from tablets and smartphones. The LCD screen is particularly useful for programming and setup, while an extra paper tray allows users to load two separate types of paper for custom printing projects. Excellent wireless capabilities. This printer connects very quickly and easily to wireless networks, which provides a great deal of convenience. Users note that they can easily print documents directly from smartphones and tablets as well. LCD screen is very easy to use. The full-color LCD screen makes setup, programming, and troubleshooting very simple. Users like that they can check job statuses and directly resolve printing issues using this screen. Extra paper trays provide added versatility. Many users also like the fact that this printer offers multiple paper trays, which can save time and effort on complicated print jobs, such as documents that need both letterhead and plain paper. Expensive to Replace Toner. Many users note that toner for this printer is prohibitively expensive, which can be a major problem if you’re using it constantly. The color toner cartridges can be particularly expensive, since you need three to operate the printer. Slows down on full-color print jobs. While it prints black-and-white documents very quickly, users report that the HP M452dw slows down significantly when printing full-color or graphics-heavy documents. The Dell C1760NW Color Laser Printer is a small but efficient color laser printer that offers superb image quality and overall performance, particularly in the under-$200 price range. It works well both over wireless networks and hard-wired into networks and computers, which provides some extra versatility for homes or businesses. Replacement toner cartridges are also very affordable, which keeps overall costs low. Small footprint fits anywhere. 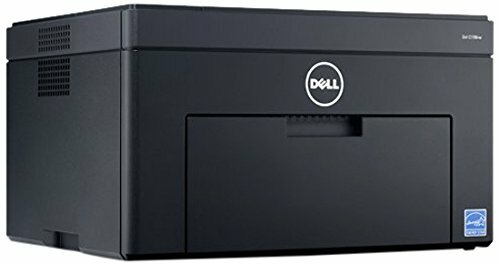 The compact design of the Dell C1760NW is a big selling point, with multiple users noting that they can easily set this printer on a desktop, which is rarely the case for color laser printers. Easy to set up and network. Whether it’s plugged in via USB or Ethernet, or connected to a wireless network, users report that setup tends to be very straightforward for this printer. Great print quality. Users are generally impressed with the print quality of the Dell C1760NW, with many noting that it reproduces color very well and excelling at printing documents and presentations. Affordable toner cartridges save money over time. Many users also note that replacement toner cartridges are significantly cheaper than other printers, with high-capacity toners available to replace the included black and color cartridges. Lack of auto-duplex printing can be frustrating. The Dell C1760NW does not have auto-duplex capabilities, which some users find frustrating. This means you can’t print double-sided documents without having to feed paper back through. Image resolution could be better. Some reviewers note that the Dell C1760NW only prints images at 600 dpi, which makes it less than ideal for printing photos and other graphics-heavy jobs. 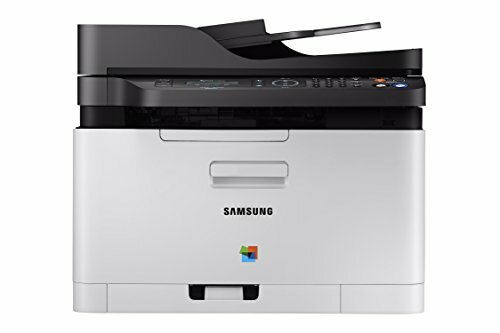 The Samsung SL-C1810W/XAA Wireless Color Printer is a great buy if you’re looking for outstanding performance at a relatively low price point. It prints quickly, with higher quality than most similarly-priced printers. The long-lasting toner cartridges and relatively low cost of replacement toner also reduce this printer’s overall cost of ownership and use, which makes it a great budget buy long after your initial investment. Exceptional print quality for both color and black-and-white. One of the biggest selling points of the Samsung SL-C1810W/XAA is the print quality. Many users report that this printer, especially considering the price, exceeds expectations for image and print quality. Fast and reliable printing. The Samsung SL-C1810W/XAA prints roughly 19 pages per minute, without slowing down too much on full-color jobs. Users also like the ability to optimize and customize print jobs. Long-lasting toner is great for everyday use. The included toner cartridges last a very long time, which is great for frequent use. Reviewers say that the cartridges print much more than expected. Doesn’t work with all paper types. Users report that this printer has trouble with thicker papers, like cardstock and glossy paper. Depending on how often you need to print on these materials, this could be a major issue. Wireless connectivity can be frustrating. Several users report having trouble with the wireless connectivity on the Samsung SL-C1810W/XAA. This can be a major source of frustration if you’re hoping to print from anywhere or from handheld devices. If you run a small business, a quality color laser printer can save you a lot of time and money. Whether you’re printing event flyers, coupons, or invoices, the ability to quickly and economically print business documents can save you trips to a copy center and rapidly pay for itself. An all-in-one color laser printer with a scanner and fax capabilities is also a great addition to an office, since you can easily scan and send documents to clients and employees or make copies of employee handouts. HP’s Color LaserJet Enterprise M553dn is a high-end color printer that’s specific geared toward growing businesses. It’s incredibly fast and relatively simple to setup and use, although it does require an Ethernet connection instead of a wireless network. The ability to print on a variety of paper sizes, from 8.5 x 11 sheets to postcards and envelopes, is useful for any type of business, since you can use it for legal documents, customer invoices, or presentation materials. Extremely fast print speeds. 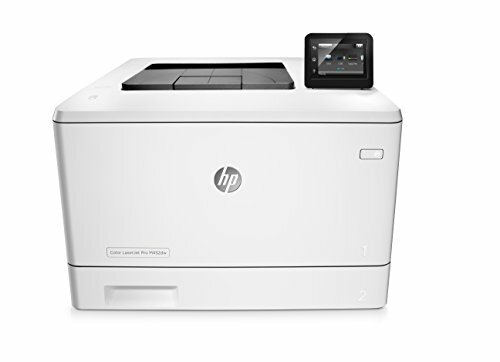 The HP Color LaserJet Enterprise M553dn is an incredibly fast printer for business documents. Reviewers like the auto-duplex feature in particular, which saves time and allows for full-color, two-sided printing. High-quality printing, even in color. Users also note the exceptional print quality this printer offers. It prints images at 1200 dpi, which produces sharp and color-accurate documents. Networking features provide security and customization. Several users also appreciate the networking features of the HP Color LaserJet Enterprise M553dn, which allow an administrator to monitor and troubleshoot from HP’s web-based portal. Accepts multiple types of paper for added versatility. The HP Color LaserJet Enterprise M553dn prints on standard-sized paper, as well as postcards, oversized paper, and envelopes, which provides offices with a lot of options. Ethernet connection is required. The HP Color LaserJet Enterprise M553dn needs to plug directly into an Ethernet port, which some users find frustrating. This provides networking capabilities and security, but sacrifices some convenience. Toner cartridges are very expensive. Like many high-end color laser printers, replacement cartridges for this printer tend to be very expensive. Users note, however, that third-party cartridges are available for significantly less money. Users who take a lot of photos and want to print and frame them will need a laser printer with exceptional image quality and the ability to print on a wide variety of paper types and weights. It’s also important to ensure that you’re using photo paper that’s specifically suited for laser printers, since inkjet paper won’t work with color laser printers. Compatibility with handheld devices and wireless connectivity are also important, since many users now take photographs using tablets and smartphones and want to print directly from these devices without using a computer. Canon’s imageCLASS MF726Cdw Wireless Color Photo Printer works well for many types of print jobs, but it really shines when it comes to image printing. With the ability to print images at 1200 dpi and several all-in-one features for added versatility, this is a great printer if you want to regularly print photographs or full-color images, but would also like a high-quality printer for everyday use and wireless printing. Mobile printing works very well. Many users report that this printer makes mobile printing, from both smartphones and tablets, extremely simple. Once it’s connected to a wireless network, you can send photos directly from both iOS and Android devices. 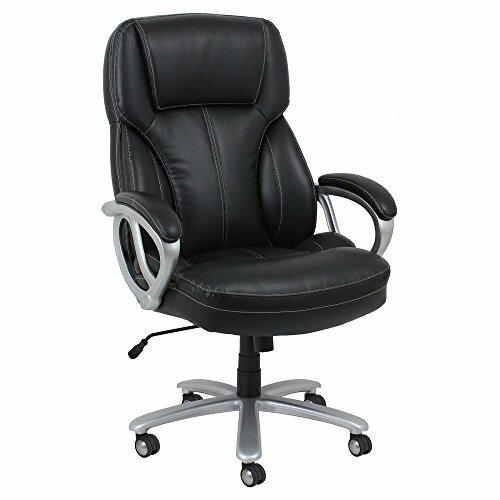 All-in-one features provide more use options. Reviewers also like the added features, particularly the scanner. The Canon imageCLASS MF726Cdw allows for easy double-sided scanning, which can save a lot of time and effort. Durable and long-lasting construction. Most reviewers also note that the Canon imageCLASS MF726Cdw is extremely well built, although this does make it very heavy. Somewhat difficult to set up. Several reviewers note that initial setup can be tedious and counter-intuitive, which can add some time to getting the printer up and running. Both families and individual users can benefit from a quality laser printer at home. 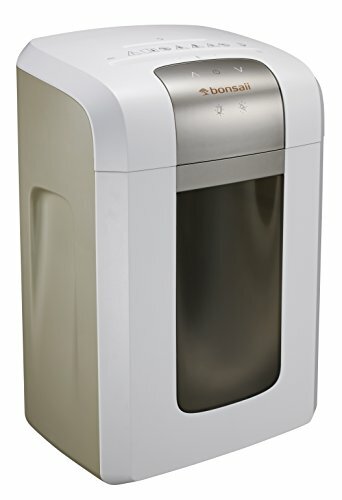 While you may not need a printer that can handle the same volume of pages as you would in a business setting, the ability to print important documents and school assignments without having to wait for the slower performance of an inkjet printer can be a benefit, no matter how many people live in your house. Again, wireless connectivity is also an important consideration, since you can put the printer in a central location and let family members print from anywhere in the house. Samsung’s Xpress SL-C480FW/XAA Color Laser Printer is an excellent choice for families and individuals looking for a reliable home printer. It’s relatively fast, with simple setup and plenty of options for wireless printing. While it lacks some of the functionality of business-focused color laser printers, it has all of the features most home users will need at a much more affordable price point. Quick and easy setup. Most users have a very easy time setting this printer up and getting started using it. With options to connect via USB, wireless, or Ethernet, it’s simple to add the Xpress SL-C480FW/XAA to your home printing setup. Reliable and straightforward wireless printing. Reviewers also like how simple and easy this printer makes wireless printing. It connects to Android or iOS devices to print documents and photos from anywhere. Compact design saves space. Despite being a multi-function color laser printer, the Xpress SL-C480FW/XAA doesn’t take a lot of space, which users like for adding it to a desk at home. Lacks duplex printing option. One issue reviewers note about this printer is that it’s difficult to print double-sided documents. It doesn’t have auto-duplexing, so you’ll need to manually flip pages to print on both sides. Image printing resolution could be better. Another issue that users mention is that the image quality could be better for graphics-heavy documents or photos. At this price point, however, this may be somewhat expected. For users looking for the most versatile laser printer, an all-in-one model is ideal. With an all-in-one color laser printer, you can scan important documents, make color copies, and print documents and projects without needing to invest in and make room for several different devices. While these all-in-one color laser printers may be slightly more expensive than a dedicated inkjet printer, they can save time and money in the long run by using less ink, delivering higher print volumes, and completing print jobs much more quickly. 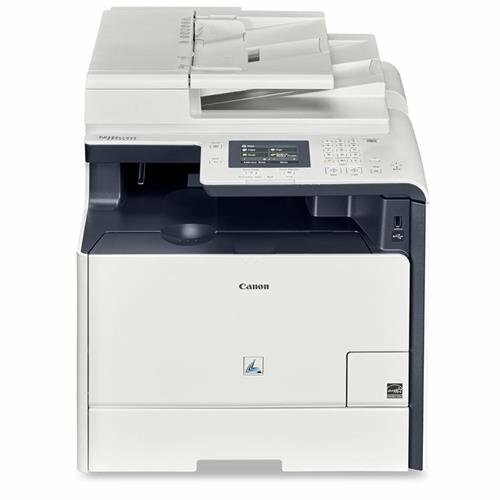 Canon’s MF628Cw is a relatively fast color laser printer with excellent print quality. 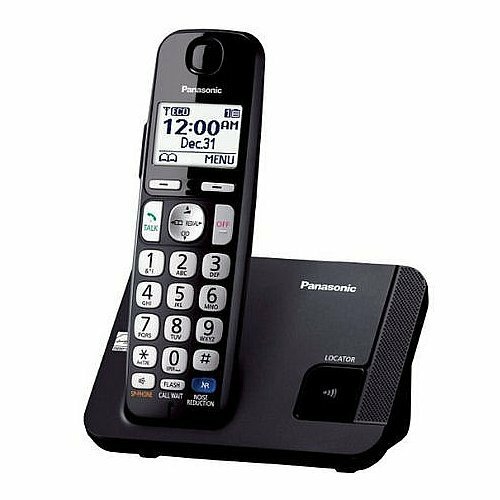 Its extra features are where it really shines, however, with a great integrated scanner as well as fax and copy functionalities. With its LCD touchscreen, you can easily scan important documents, make copies, or send scans via email or fax. 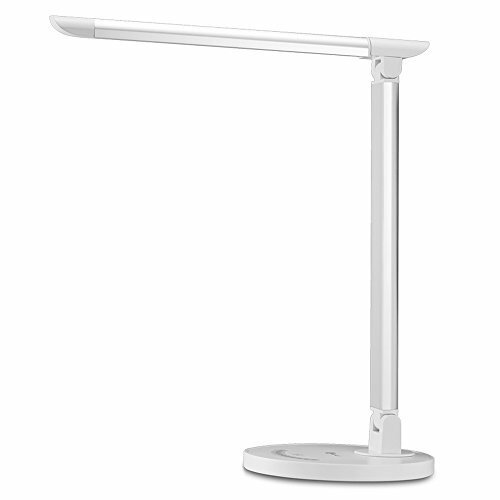 Setup is very easy, as is connecting the printer to your home or office wireless network. Reliable, high quality printing. Reviewers note that the Canon MF628Cw delivers high-quality prints and copies. The print and scan functions work together well to accurately copy documents as well. LCD screen makes navigating simple. Several reviewers note that the full-color LCD screen makes this printer very easy to use, especially if you need to just operate the scanning or copying functions. Scanner works well with a variety of documents. Users note that the scanner on the MF628Cw is great for a wide variety of documents, and like the fact that it converts smaller double-sided items (such as identification cards) into a single-sheet document. Paper tray capacity could be better. Users note that the paper tray doesn’t hold as much paper as they may like, which means you may frequently need to reload the printer, especially if you’re taking on larger print jobs.